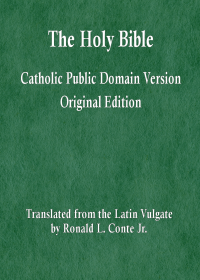 The Catechism is widely used, and widely misused. Souls are being led astray by its misuse. I am not referring to the many subtle flaws and the few outright errors in the CCC. Rather, I am calling attention to the rampant misinterpretation of the Catechism by Catholics, especially online. The CCC has been of great benefit to the worldwide Church in the relatively few years since its first publication. It is widely used by Bishops, priests, religious, theologians and the laity in general. There has never before been such a comprehensive and authoritative catechism. But it is not as excellent as the Bible. Has the Bible ever been misinterpreted? 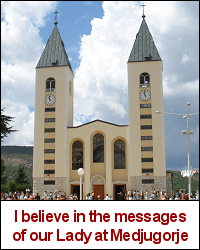 Has infallible Sacred Scripture ever been misused, in support of false doctrines? “The disciple is not above the teacher, nor is the servant above his master.” (Mt 10:24). If they misuse Scripture, they will misuse lesser books, such as the Catechism. And so it is today. When the CCC is read in isolation from Sacred Tradition, Sacred Scripture, and the other teachings of the Magisterium, it is very likely to be misunderstood, misinterpreted, and misapplied. The CCC is not a replacement for the other documents of the Magisterium, nor does it free us from the necessity to learn from Sacred Tradition and Sacred Scripture in addition to magisterial sources. Owning a copy of the CCC, or having access to it online, does not make the reader qualified to teach theology. So many times online, Catholics will quote from a section of the Catechism and then explain as if they were definitively teaching, without possibility of error on their part, the teaching of the Church. It doesn’t work that way. If you are ignorant of moral theology, you will not be able to understand the passages of the CCC on that topic well enough to teach. And the same is true for any other topic in the CCC. This problem is frequently encountered in Catholic discussion groups. A person asks a legitimate question on a matter of faith or morals, and some poster will cut-and-paste a series of paragraphs from the CCC as an answer. Sometimes, I have the impression that the cut-and-paster has not even read the paragraphs he or she is posting. As the discussion progresses, it becomes clear that the person quoting the CCC has badly misunderstood what it means. Protestant fundamentalists have a certain way of treating Sacred Scripture. They believe that the Bible is inerrant; I agree. But they also believe that when they read Scripture, the meaning that seems apparent to them is the inerrant teaching of God. They do not consider that they may have misunderstood the passage. If I offer a different interpretation, they reply that I am contradicting Scripture and that Scripture needs no interpretation. The meaning that they think they see in Scripture is supposedly the plain infallible meaning. Any other view is said to be a misinterpretation. Many Catholics are treating the CCC the way that fundamentalists treat Scripture. They might say that the Catechism is not infallible (it is like pulling teeth to get them to admit this), but they nevertheless treat it as if it were. Every sentence, every word, ever turn of a phrase is treated as if it were not only beyond question, but exceedingly profound. I wish that these same Catholics would show half that reverence for the Bible. But the CCC has become their Bible. Some even analyze the Catechism as if it had a spiritual level of meaning, beyond anything expressed explicitly in the text. The way that some persons exalt the Catechism borders on idolatry. They treat their own understanding (or misunderstanding, as the case may be) of each passage of the CCC as if it were infallible. They do not admit that the Catechism requires proper interpretation, nor do they allow for the possibility that they might have misunderstood. They misunderstand what is said in the CCC because they have not bothered to study other sources on whatever the topic may be. Moreover, it quickly becomes clear that they have not even bothered to read other passages within the CCC on that same topic! And so they interpret one passage of the CCC to a conclusion that is explicitly contradicted in another passage. They don’t even notice the contradiction. Amazingly, some person analyze passages of the Catechism, misinterpreting one paragraph after another, and then draw conclusions as if they have now arrived at a new doctrine — one not stated explicitly anywhere before. They treat the CCC the way that they should be treating Sacred Tradition and Sacred Scripture. We should all seek new insights into the Faith in the vast and mysterious Sacred Deposit of Faith comprised of Tradition and Scripture. I say again, the Sacred Deposit of Faith contains only two things: Sacred Tradition and Sacred Scripture. The Magisterium teaches from Tradition and Scripture (and also from natural law). But even documents of Ecumenical Councils and Popes are not per se part of the Sacred Deposit of Faith. And yet the CCC is being treated as if it were a replacement for the Deposit of Faith. But alas for me! I am like someone born at the wrong time. For I studied and learned the Catholic Faith before the CCC was published. “I am a worm and not a man: a disgrace among men, and an outcast of the people.” (Psalm 21:7). When it was published and I began to read and use it, I found much of the text boring — because I had already learned its doctrines. But today many Catholics have the attitude that all they need is the Catechism. And yet they don’t seem to study it. When a question on a matter of faith or morals arises, they turn to the CCC, and are surprised and amazed by the new doctrines that they learn (or think that they learn in their misunderstanding). They are happily ignorant of sound doctrine and sound theology. And then they go out and teach their ignorance to other persons. What qualifies them to teach? They have a copy of the Catechism of the Catholic Church. And as everyone who is well-versed in theology will know, the Catechism is flawed in its presentation of doctrine. The CCC is a result of the input of many Bishops and theologians. This results in a kind of compromise wording. So even when the doctrine being expressed is true, the wording has elements from different theological points of view. The result is that some fine theological lines are blurred. And some ways of expressing doctrine are awkward or even a little misleading, if read in isolation. This problem is only a slight annoyance to me, since I interpret and understand the CCC in the light of Tradition, Scripture, Magisterium. But to those who are determined to rely on the Catechism alone, it creates serious errors. They draw doctrinal conclusions from these small slightly problematic phrasings. There are also outright disagreements on doctrine that have made their way into the CCC. The definition of lying in the older English edition of the Catechism used to define lying in such a manner that it suggested that a statement was only a lie if the other person had a right to the truth. That wording was later changed, in the second edition. But for a time, the CCC did contain that error. Why? because there are and always have been in the Church disagreements among the Bishops on matters of faith and morals, even on matters that many a conservative orthodox theologian considers to be settled doctrine. A reasonable faithful Catholic should not treat the CCC as if it cannot contain error, or as if every word and phrase is full of profound truth. When I read the CCC, I often have to amend or enlarge my understanding on a particular point, using other sources in Tradition, Scripture, Magisterium, in order to arrive at the full and correct doctrine. The Catechism is an exercise of the Magisterium. But in and of itself, it has no more authority than a typical papal encyclical. And it has less authority than a Conciliar document on faith and morals. And yet it is treated by some as if it were the final word on any and all topics. The Catechism of the Catholic Church is an excellent resource, but it must be interpreted in the light of Tradition, Scripture, Magisterium, understood to be non-infallible and in some ways flawed, and used as only one of many excellent resources on matters of faith and morals. And the reader must consider that his interpretation of the Catechism might be mistaken.